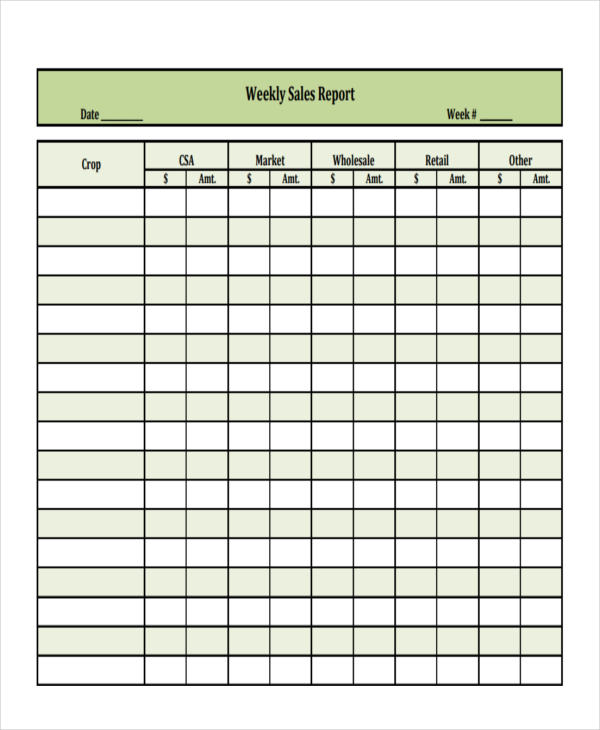 Weekly Report Template: Every individual, company or business organization must prepare a weekly report to manage & track the weekly activities. Preparing a weekly report is a vital part of every business. 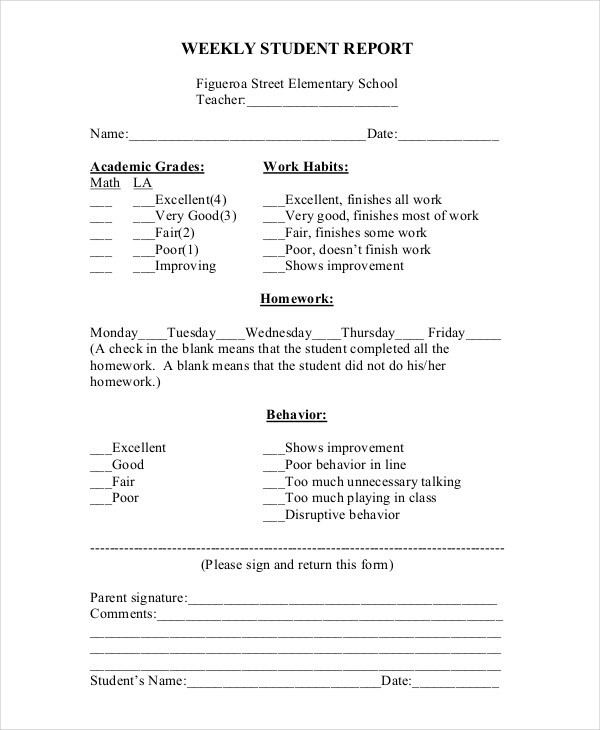 If you have a responsibility of making a weekly report then check out the templates shared here. 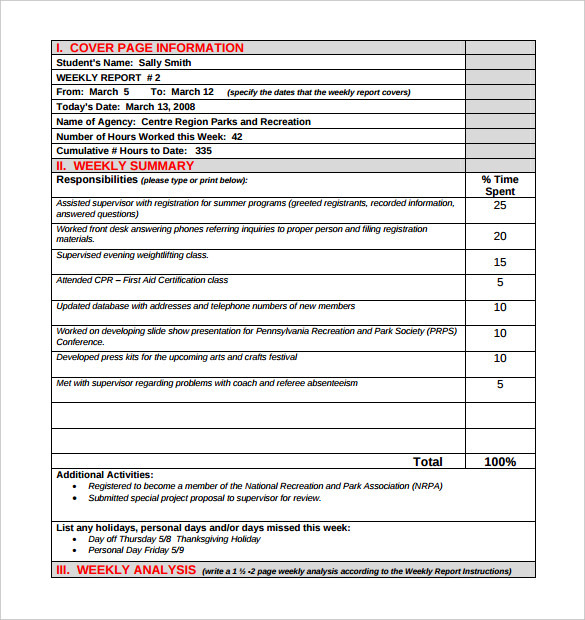 These templates will assist you in making a proper professional weekly report. Every successful business understands the importance of proper planning, management, organization, and tracking. If you want your work to reach the desired goal then start making a weekly report to see progress made throughout the week. Making a weekly report takes time, precision, and proper data. It takes time to get all the data that’s why it is recommended to not waste time in creating a report from scratch. Utilize the templates from there, download them, and use them for your work. 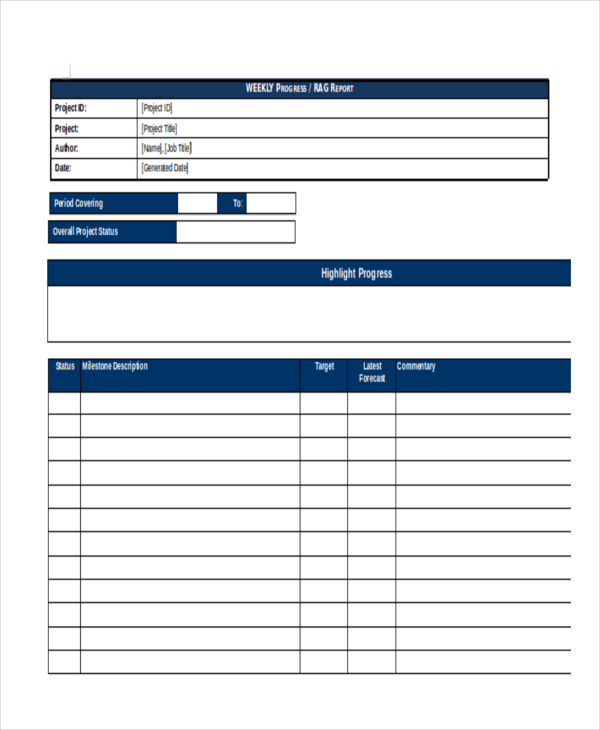 Free downloadable and editable weekly report templates available below, pick the one that meets your requirement, and make weekly report easily and quickly. A report is created in every company or business organization. Many types of reports are created such as a yearly report, monthly report, weekly report, quarterly report, and daily report. 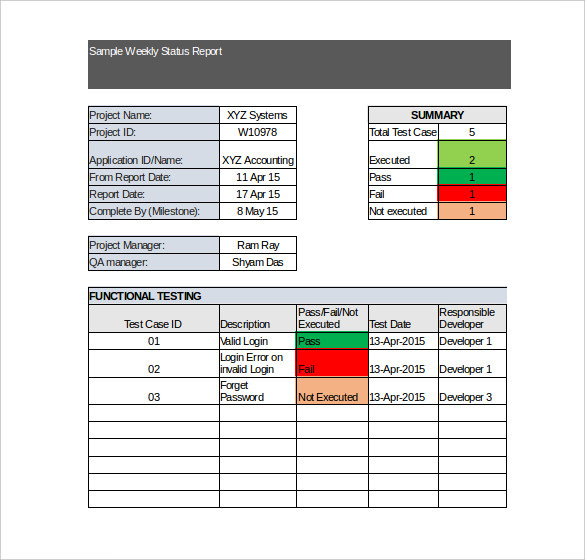 Here you will find weekly report templates that will assist you in making a professional and error-free weekly report. A status report is a document written by a project manager or contractor to provide the customer or concerned department updates about the status of project or job and weekly status reports are usually prepared after every seven days. 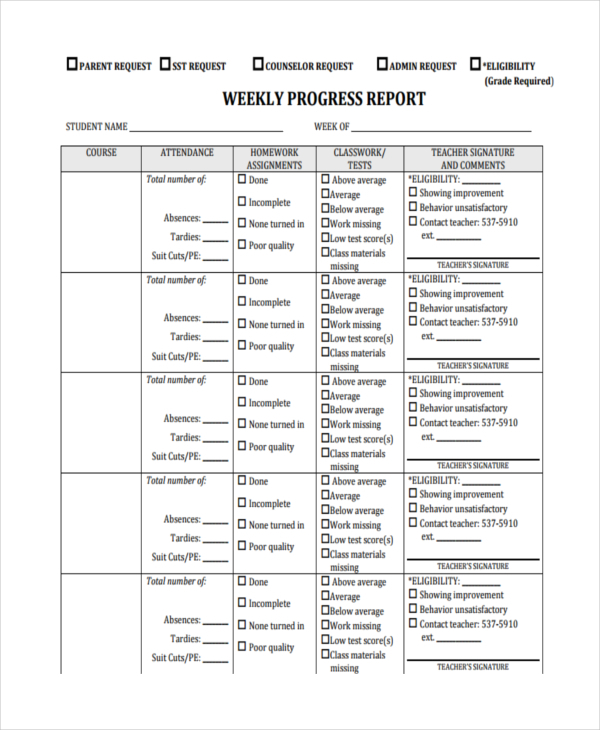 Download a progress report template from above and simply drag and drop your own details in a template to make a perfect progress weekly report. 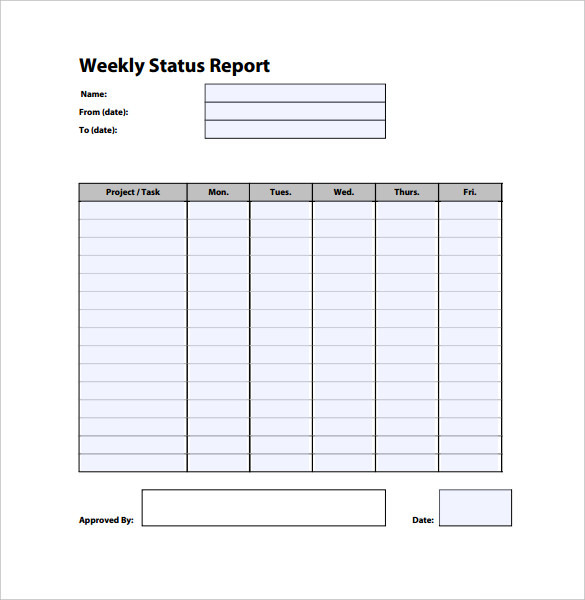 Usually, team leaders or managers use a weekly report template to create an organized, efficient, and detailed weekly reports. This type of report helps a company understand whether the work is happening in a right way or not. Record the performance, capabilities of your employees or staff on a weekly basis with the help of templates shared here. The main purpose of creating a weekly report is to track or record the performance, weakness, and progress made throughout the week. A report helps to track each and every employee performance faster. It’s not easy to create a weekly report as it takes a lot of time unless you have a well prepared weekly report template which is loaded with all the required fields, details that you need considering your work. So, make sure to pick the right template as per your work. This is our collection of Weekly Report Templates, hopefully, you like them and downloaded on your computer or laptop. Share these templates with other people as well who might be interested in them. Leave a comment below to let us know how you find these templates useful and how you are going to use them. Keep visiting us for more and more templates in other categories, format, layout, and designs.